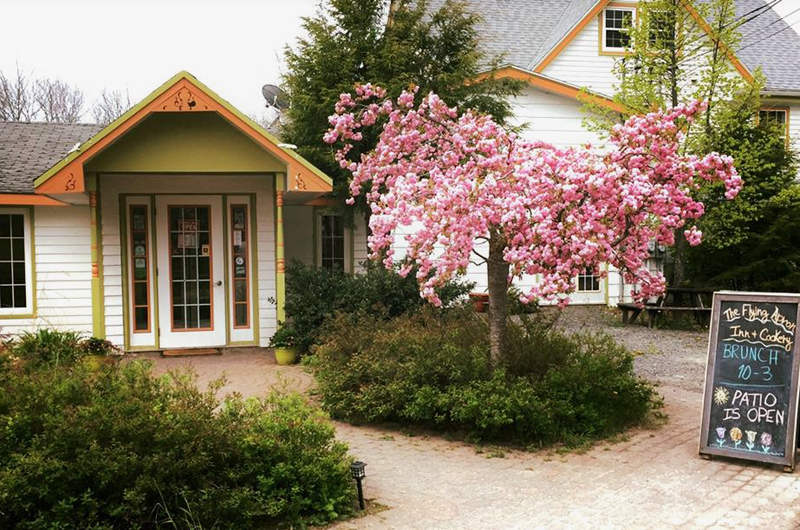 Take yourself on a getaway to the heart of Nova Scotia’s farming country to this one-of-a-kind culinary destination. 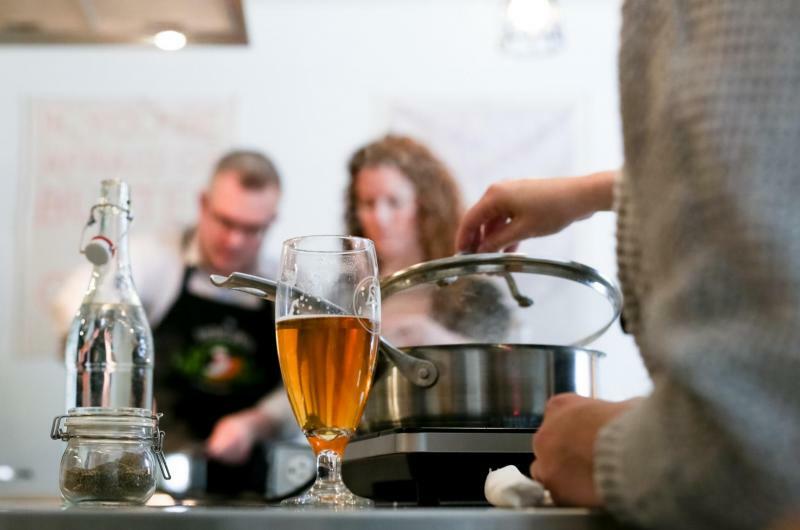 This renovated historic building features a charming 4-star inn and many on-site amenities for guests to enjoy, including an award-winning licensed restaurant, stunning cookery school, art gallery, gourmet food shop and used book store. We are located just an hour from Halifax, Truro, Chester, and the Annapolis Valley, where rural Nova Scotia meets the Bay of Fundy. Guests looking for outdoor activities will be delighted with the hiking and snowshoing trails around the Avondale Loop and Irishman’s Road Recreation Site or the West Hants swimming quarry. Local attractions include Burntcoat Head Park (site of the world’s highest recorded tides), Avondale Sky Winery, Meander River Farm & Brewery, the Walton Lighthouse, The Cheverie Marsh Trail and Avondale Heritage Museum. 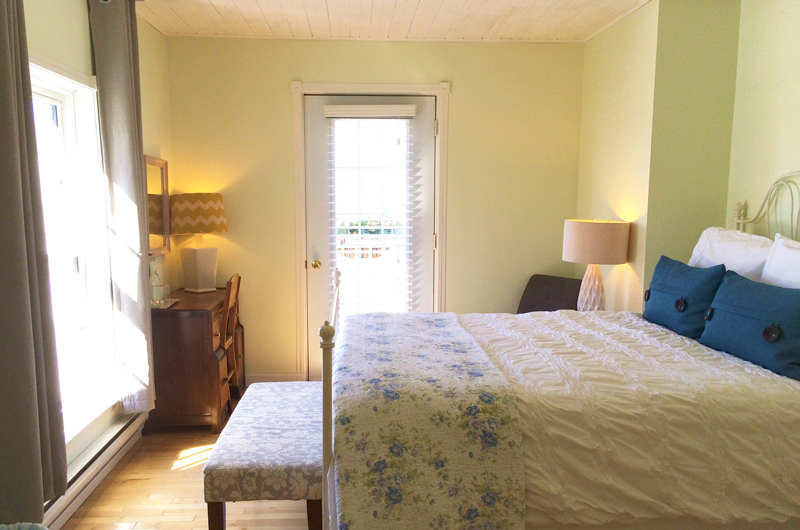 Our five charming guest rooms have been fully updated and are well-appointed. 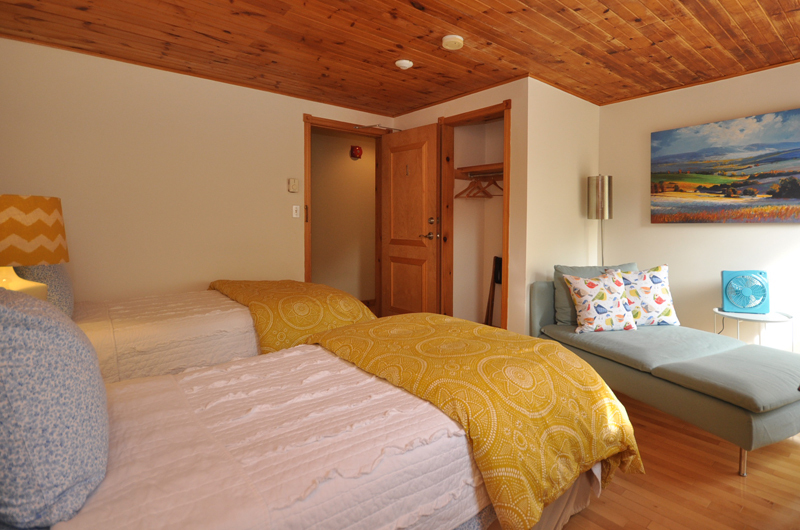 Each room features an ensuite washroom and beautiful linens. 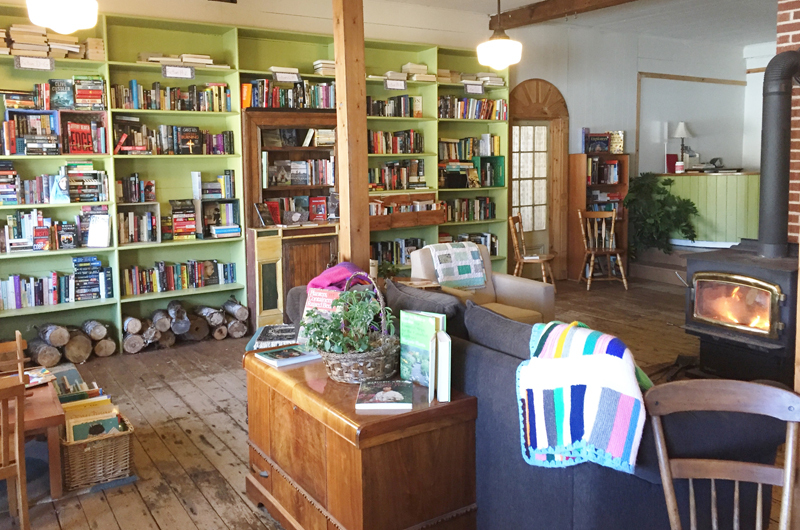 Guest amenities include a shared TV lounge with fridge and morning coffee station, a cozy area in our bookstore with wood stove, and private Inn entrance. All of our guest rooms have access to free wireless internet, hair dryers and clock radios. Some of our rooms are equipped with air conditioning. We offer family-friendly accommodations. 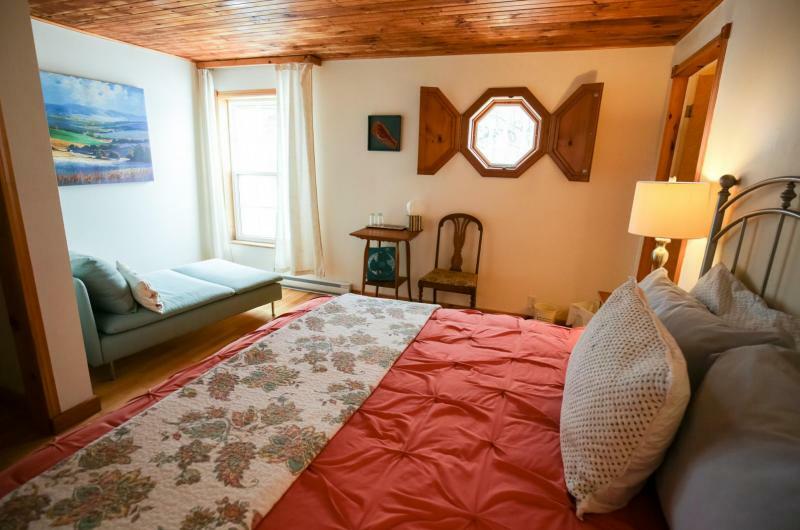 Room 1 has a 4-piece bath and a king bed. Rooms 2 & 3 each have a queen bed and a 3-piece (shower, room 2) and 4-piece (room 3) bathroom. Rooms 2 & 3 share a second-floor deck. Room 4 has a king bed and a 4-piece bath. 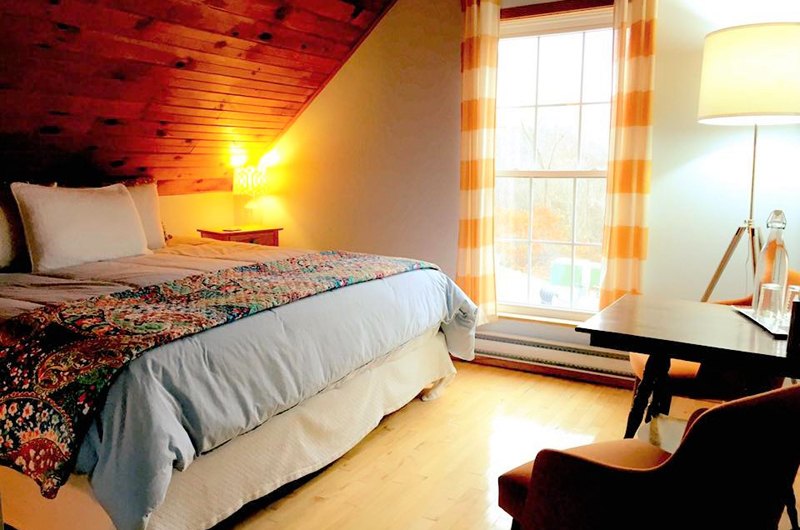 Room 5 is our largest room with a king bed, seating area and a 4-piece bath with a walk-in shower and soaker tub. Rooms 1 & 5 have the option of 2 twin beds rather than the king, for an additional fee. There is also a double pullout in Room 5, available at an additional fee, which allows a third adult. Our room rates change seasonally and are published on our website. 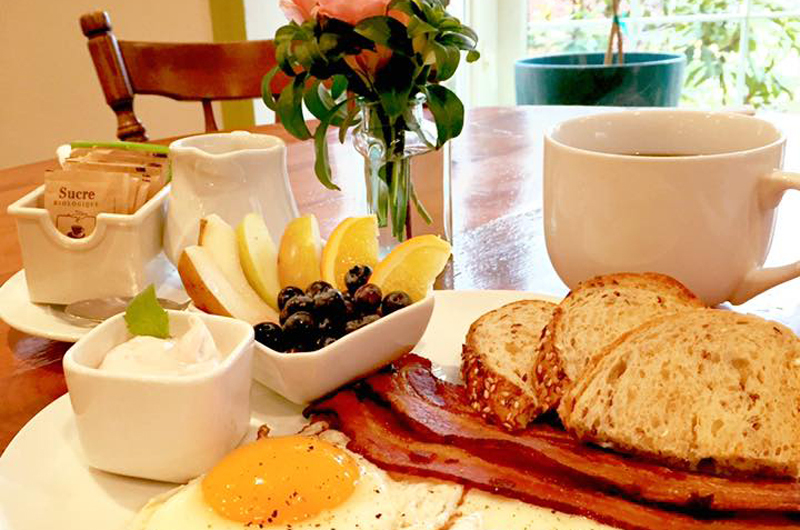 Your accommodations include a fresh, made-to-order hot breakfast served in our restaurant. Major credit cards and debit are accepted. Our Inn, Cookery School and Restaurant are open year-round; in the warmer seasons you can enjoy the view of the gardens and frog pond from our licensed patio. 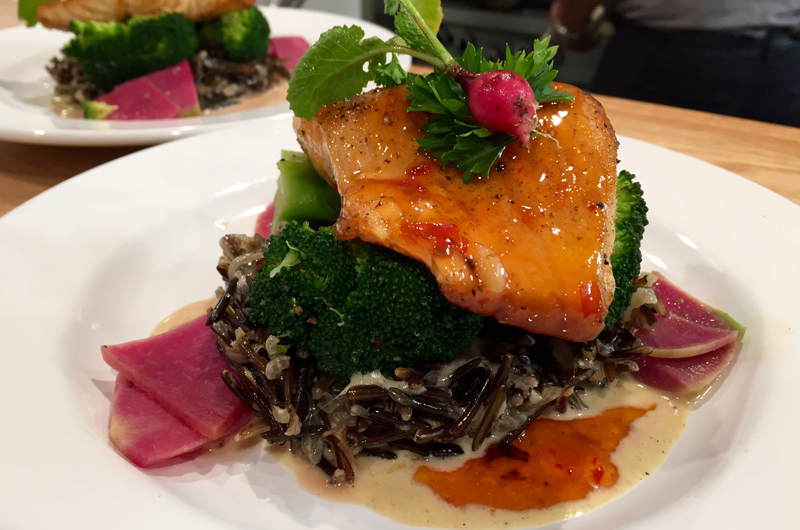 At The Flying Apron, We Do Local! Our menu changes weekly to feature the season’s best local ingredients. It’s not uncommon to see producers walk through the front door with baskets of produce fresh from the field. 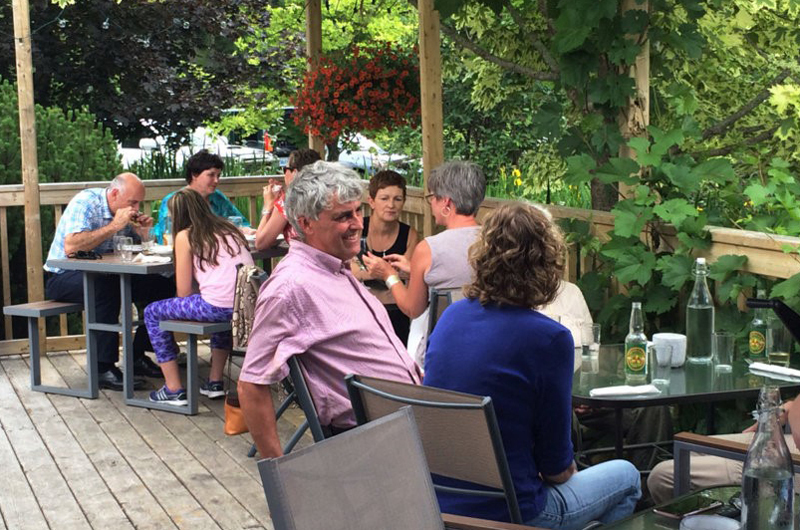 Pair your meal with a glass of Nova Scotia’s best wine or local craft beer. 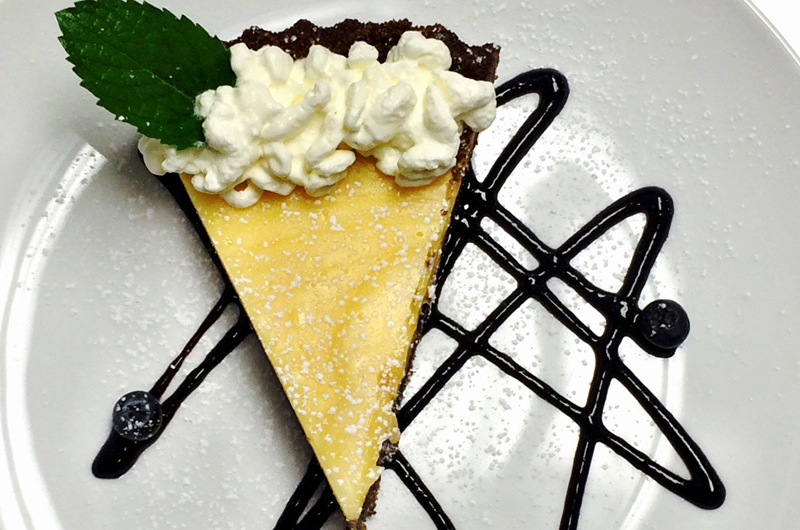 And don’t forget to try one of our decadent house-made desserts, perfect with a Just Us! organic, fair trade coffee. On Sundays we feature our brunch menu from 10 a.m. to 3 p.m. We happily accommodate gluten-free, vegetarian and vegan diets for our guests. We offer a variety of classes in our beautiful cooking school kitchen. 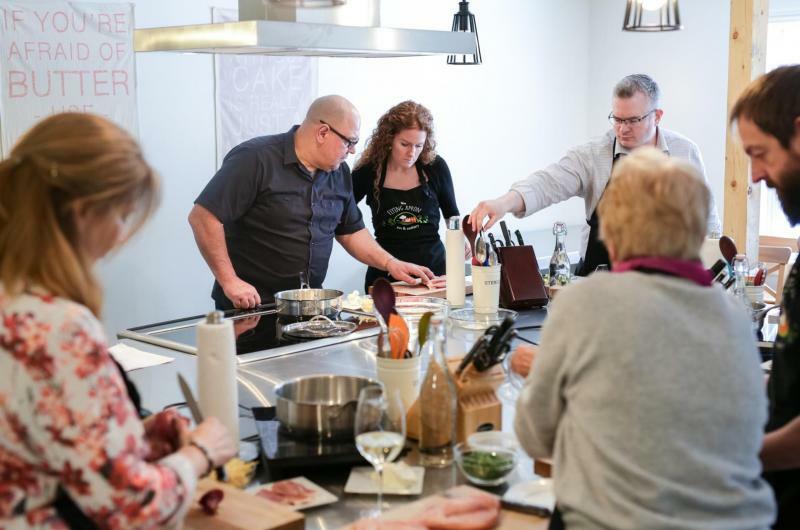 Classes are taught by our Chef, Chris Velden. Chef Chris has been cooking and teaching for more than 40 years across Canada and the United States and in his home country of Germany. As a Certified European Master Chef and Culinary Instructor, his expert qualifications match his passion for teaching. 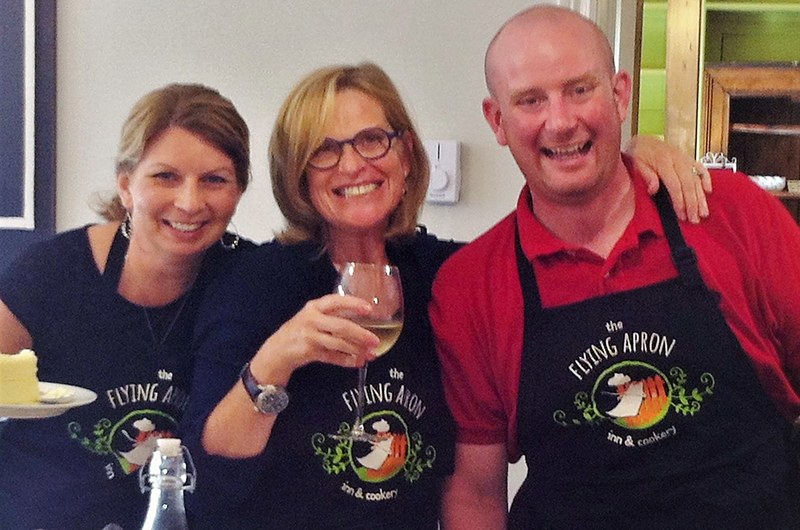 Chris loves to provide culinary education to the food-inspired public at The Flying Apron Cookery School. We offer many Accommodation packages and Culinary Getaway packages that include cooking classes, farm tours, and more. 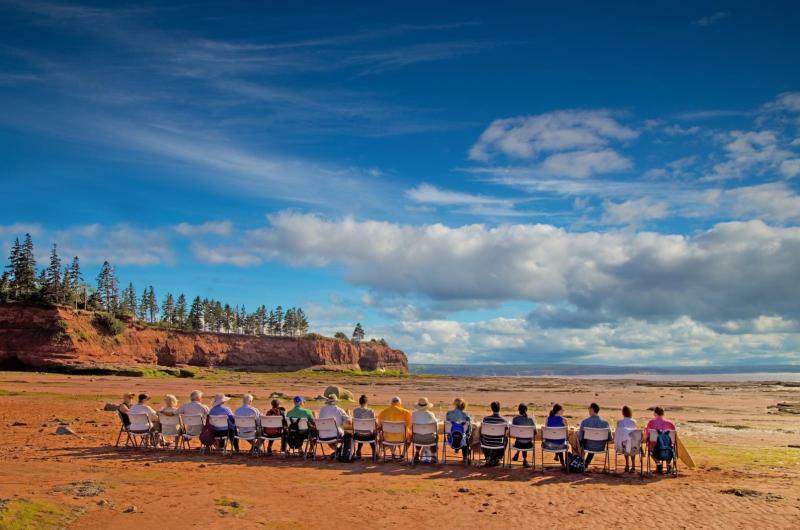 Our property is the perfect location for a private getaway or group retreat. Contact us to discuss options for your family gathering, corporate event or bachelor/bachelorette group. We offer group packages including accommodations, catering, venue rental, cooking classes, meals and more.